While Samsung just announced its flagship Galaxy S4 in India today, somewhere in Russia a new phone belonging to the Galaxy range has been leaked. According to reports, Samsung Galaxy Core, is a mid-range device expected to launch in Russia, China and maybe even markets across Europe and Asia. The smartphone will be powered by a 1.2 GHz dual core processor with a mere 768 MB of RAM and 8 GB of internal storage. 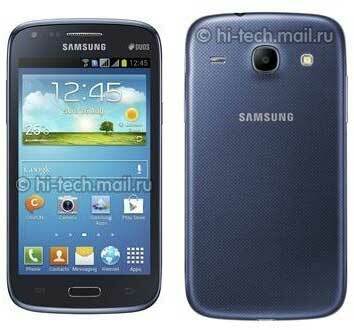 The Samsung Galaxy Core would be launched as a dual SIM phone, but we might even see a single SIM variant later. The phone is equipped with two cameras, a 5 MP rear and a front facing camera. The smartphone runs on the Android Jelly Bean OS. The handset is expected to launch next month for around $417.